Hillary Clinton should be smiling. She just had her best two weeks of the campaign. (Image via Clinton's Facebook page). 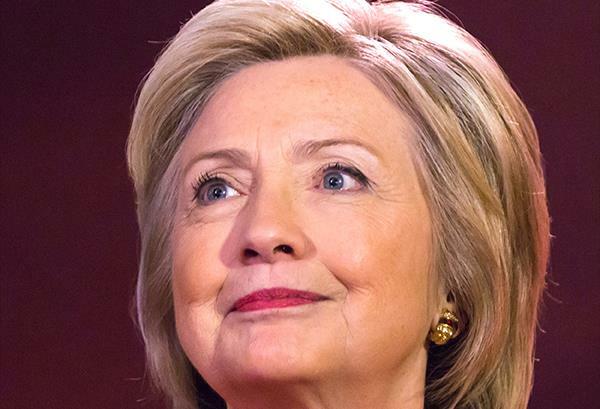 Supporters of Hillary Rodham Clinton’s second White House bid took a deep breath last Tuesday when the Democratic frontrunner – was she ever really not? – won the night at the first Democratic debate. Then again this Wednesday when Vice President Joe Biden said he will not run for president. And another one on Thursday after Republican critics on the House Select Committee on Benghazi failed to lay a glove on the former secretary of state. It’s been a good 10 days for Hillary Clinton, easily the best since she launched her second presidential campaign in June and dating back to when details about her private email server started denting her approval numbers. Momentum is critical in politics, and the former first lady once again has it. Timing and a little luck played a role, but so did smart comms strategy. A quick look back. Clinton meets or beats expectations at the first Democratic debate, scoring points with the memorable line that she’s "a progressive who likes to get things done," hitting Bernie Sanders on the critical topic of gun control, and reassuring nervous backers. Most of the media declare Clinton the winner. The majority of polls show a notable bounce. Credit experience and preparation. Former Virginia Senator Jim Webb drops out, but threatens to run as an independent if he can find financial backing. Democrats shrug. Biden announces he won’t make a third attempt at the White House, saying, "Unfortunately, I believe we’re out of time, the time necessary to mount a winning campaign for the nomination." He makes a 13-minute speech about what a Biden 2016 campaign would have looked like, which some interpreted as, "If the whole Clinton thing doesn’t work out, you know where to find me." It’s a huge moment for Clinton’s campaign as the other true heavyweight (not named Barack Obama) in the Democratic Party steps aside. Clinton’s testimony before the House Select Committee on Benghazi goes about as well as it could have. Sure, some of her comments will be taken out of context in attack ads, but she refused to give critics any real ammunition to use in the campaign. The media consensus is that she emerged unscathed. "Bored Hillary" memes – my favorite is the Jay Z-esque brush off of the shoulder – become a thing, reinforcing what much of the public already believes: the three-year long investigation is politically motivated. Again, credit hours of comms prep as well as congressional Republicans that couldn’t get their act together. Lincoln Chafee ends his quixotic-doesn’t-begin-to-describe-it run. It’s hard to measure the impact of the end of a campaign that never got out of bed, never mind off the ground. As the silly season portion of the Democratic primary nears its end, Clinton is as well positioned as she has been this year, and smart communicating under pressure played an important role.